He was born May 18, 1851, and died Nov. 27, 1930. A true and worthy Indian. The Grave of Simon Onanguisse Kahquados is located on the golf course at Peninsula State Park, located at 9890 Shore Road, Ephraim, Wisconsin 54211. NOTE: This is an active golf course. To access the marker you will need permission of the Peninsula State Park Golf Course. 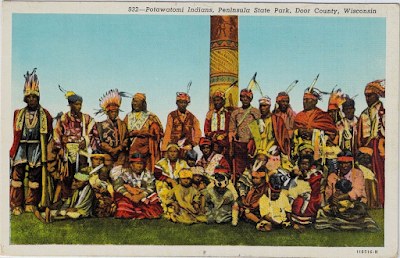 Wisconsin Historical Society: Historical Essay: Potawatomi Beaded "Soldier Coat"
Fabulous article, includes photos of Chief Kahquados and the unveiling of this marker at his funeral on Memorial Day, 1931. The funeral was attended by over 15,000 people. Footage of the ceremony of reburial for Simon Onanguisse Kahquados (May 18, 1851-Nov. 30, 1930), an Indian chief of the Potawatomi tribe. 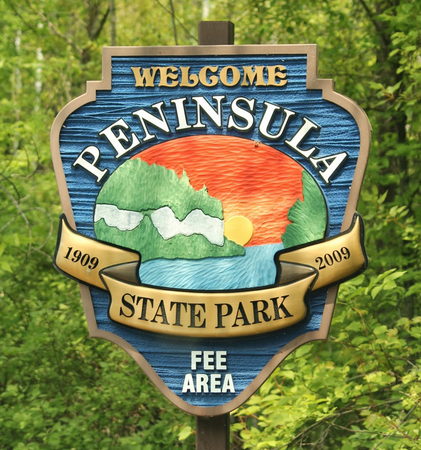 The ceremony took place at Peninsula State Park in Ephraim, Wis., on May 30, 1931, and was led by Rev. H. O. Strauch, an Indian missionary. Includes footage of the site, cars, the crowd gathering, members of the tribe bearing a coffin and covering the grave, the unveiling of a monument by James Wampum, dancing and drumming, and the presentation of a wreath on behalf of Door County and the State of Wisconsin by WIlliam Mauthe of the State Conservation Commission. 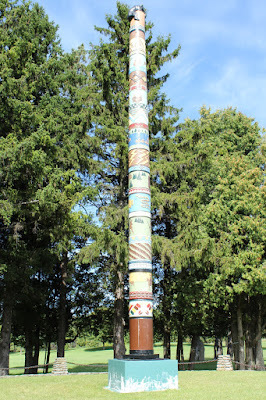 See also, Peninsula State Park Potawatomi Totem Pole, also at this location. which included ceremonial singing, dancing, a bonfire, and athletic events. or the dedication of the Peninsula State Park Potawatomi Totem Pole. and the Chief's burial site from Shore Road. 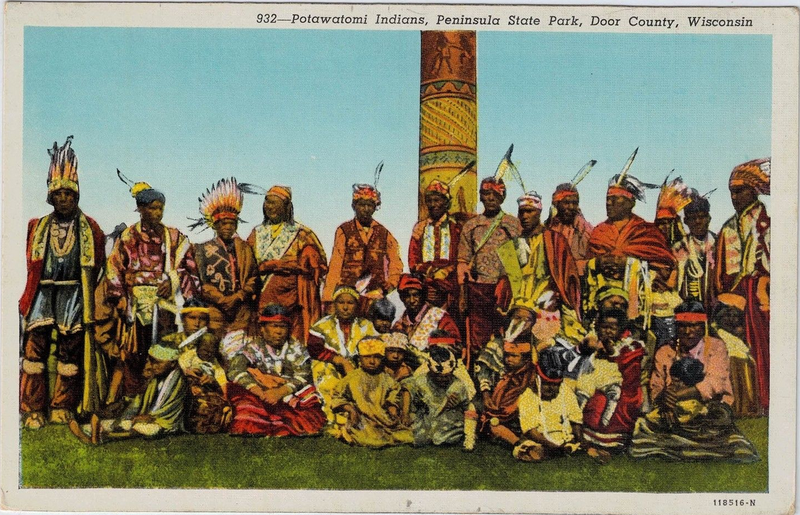 It's very easy to miss the totem pole, if you don't know it's there. The entrance to the golf course where Simon Onanguisse Kahquados is buried.